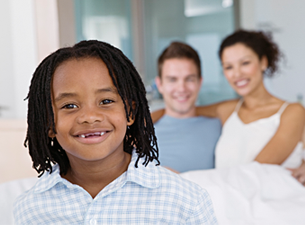 Well-child care is one of the hallmarks of a family centered medical home. Many changes occur as children pass from birth, through childhood and into adulthood. We follow the guidelines and national protocols of the American Academy of Pediatrics in providing scheduled preventive care visits. In addition to a thorough physical examination, immunizations and developmental evaluation, we will perform annual hearing, vision and urine screenings for all children older than four, and periodic blood testing for anemia, blood lead, glucose and lipid profile, depending on age and risk factors. We will guide your child's emotional and physical health needs, counsel them toward a healthy lifestyle, and offer advice to prevent illness and injury. Appointments should be scheduled early, as our books are open three to four months in advance. It is advisable to make your next appointment when checking out of the office. All children three and older require a yearly physical. We will not provide prescription refills or treat ongoing medical conditions without a yearly visit. Schools, camps and sports programs will require medical forms for participation. We cannot complete these forms unless the child had a well check exam in the preceding 12 months. Vaccines are commonly administered during some of the well check visits. For more information about our immunizations schedule, please check our Immunizations page.